Water, cereals and yeasts: three amazing gift of the nature, basic ingredients to make bread but also beer, the first alcoholic drink produced by the man thousand-years ago. Lots of small secrets that passed down from a generation to another making beer one of the most famous natural drink in the world. Water is the main ingredient of beer and it represents more than the 90% of its volume. This is why it is important under a qualitative and quantitative point of view. It is necessary that it fits for drinking, moreover it has to be characterised by bacteriological purity. Its mineral characteristics, moreover, influence directly the style of the beer and its final taste. The great hardness of the water can highlight the presence of high quantities of melted calcium carbonate. They make the beer darker and the taste bitterer; the lower hardness instead, is typical of sweet waters that are preferable for clear and light beers. Chloride gives greater strength to the taste and are able to sweeten the drink, whereas the sulphate enhance the clearness and the bitter taste. Waters that lack of mineral substances, finally, are better for softer styles. All the cereals are suitable to produce beer (rice, corn, rye, oat, wheat, etc. ), but the most popular is barley for its great resistance to the production process and the climatic changes. Before starting the fermentation process of the barley thanks to the yeasts, the grains have to be subjected to specific treatments for the malting. In fact, when the barley macerates in the water, it activates specific enzymes able to transform amid into soluble sugars. Once that the germination is completed, the drying starts, and then the roasting of the grains that can take place at different temperatures. Low levels of roasting of the malt determine the clear colours of the beer, whereas a roasting at high temperatures causes a darker colour. Thanks to the great variety of cereals on the market today, the brew masters have the possibility to mix different malted cereals to enhance specific flavours and perfumes. The process of fermentation was considered at the beginning a miracle of the nature and it was fully understood in 1875 with the experiments of Pasteur and his discovery of the yeasts. They are unicellular organism that, during the fermentation are able to transform the sugars of malt and must, into ethyl alcohol, carbon dioxide and other substances. There are two qualities: Saccharomyces Cervisiae, discovered by the French biologist and the Saccharomyces Carlsbergis discovered by chance by the brew masters in the south of Germany during the ripening of beer inside some grotto in the Alps. The first family of yeast can be activated between 15° and 25°C, it requires, thus a fermentation at high temperatures and it is still used for the fermentation of ALE beers, the most structured and with a greater alcoholic volume. The second one, instead, requires lower temperatures and it can be activated between 6° and 12°C. it is widely used, today, for lager beers, lighter and with a lower alcoholic degree. Using different combination of the two families, it is possible to produce hybrid beers with particular tastes. To compensate the sweet taste of the malt it is possible to use not-fertilized female flowers: they give that bitter taste to the beer, that clear it and enhance the sense of hunger typical of this drink. 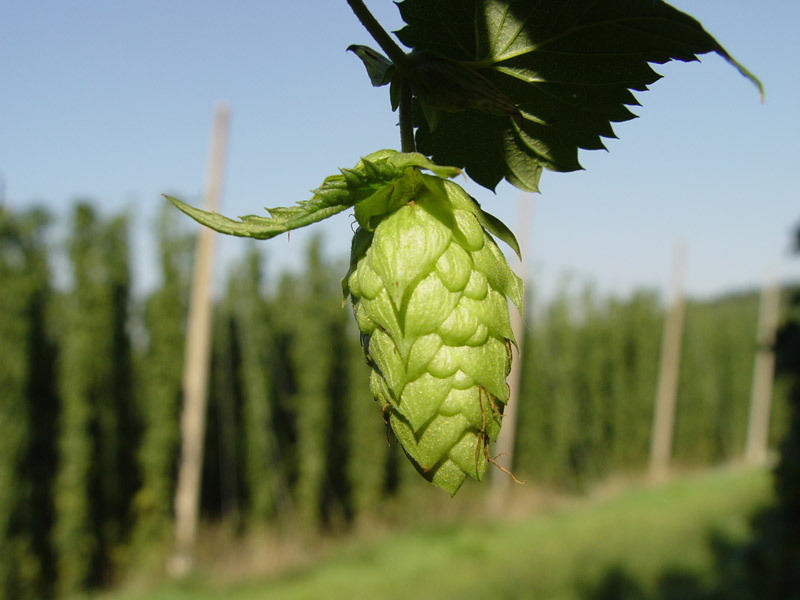 They can be bitter, aromatic and mixed, according to the characteristics that they give to the beer. It is delicate and thus it is preferable to use it during the cold days, from August to October. Other aromatic additive like fruit (cherry, raspberry, etc. ), some plants (rosemary, tobacco, chestnut, etc.) and spices (ginger, pepper, etc.) are today, widely used in the production of beer, thanks to their aromatic characteristics.